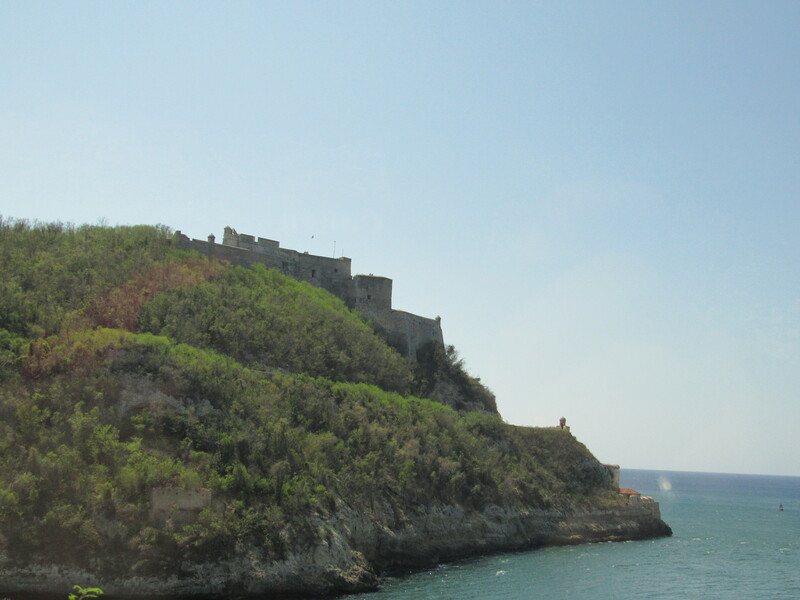 Sailing into Santiago de Cuba, the second largest city in Cuba, was breathtaking. 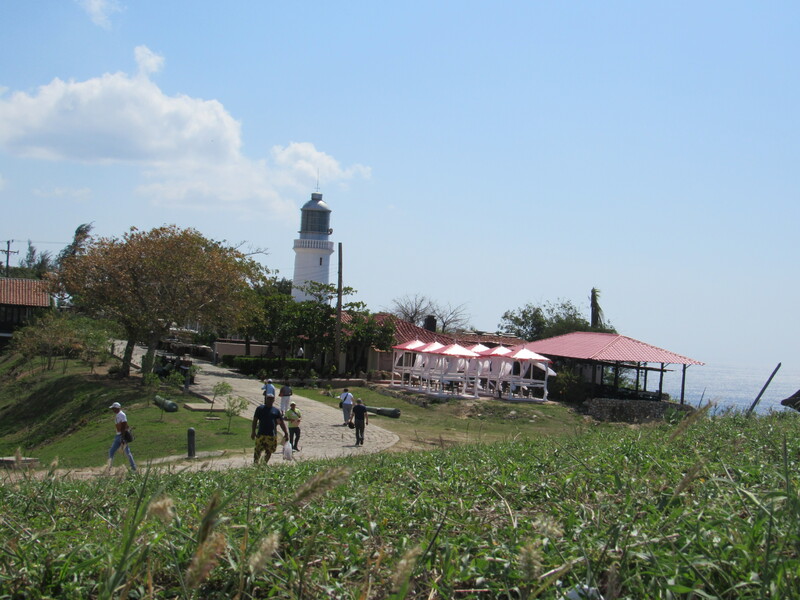 Santiago rests in the heart of a picturesque bay protected by the Morro Fortress. 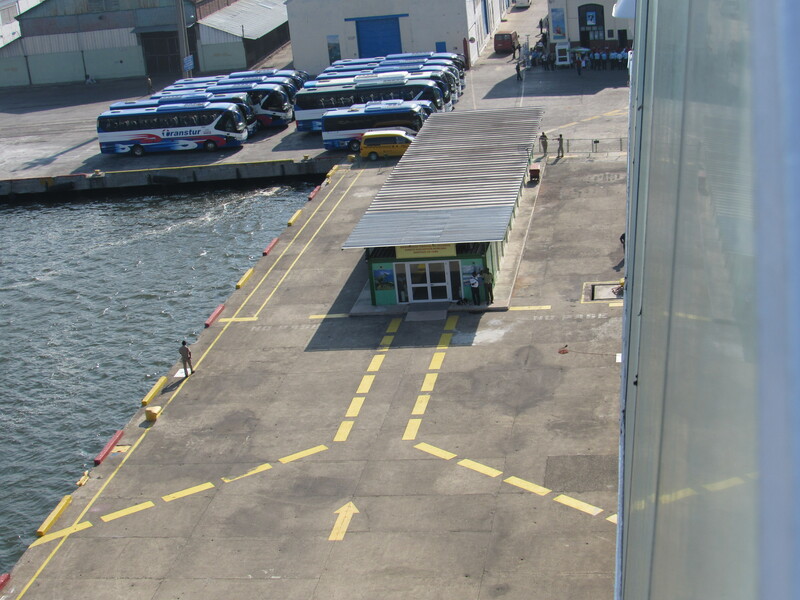 The ship docks at the foot of the city, which rises up before you with colourful buildings. This is a city filled with energy and life – traffic and people. 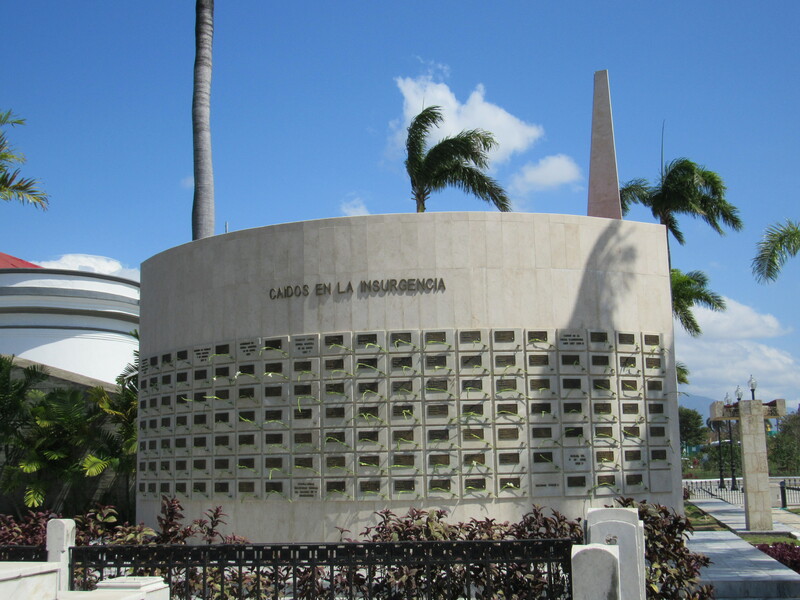 Called the City of Heroes, Santiago remembers its sons and revolutionaries. This is where the revolution began. 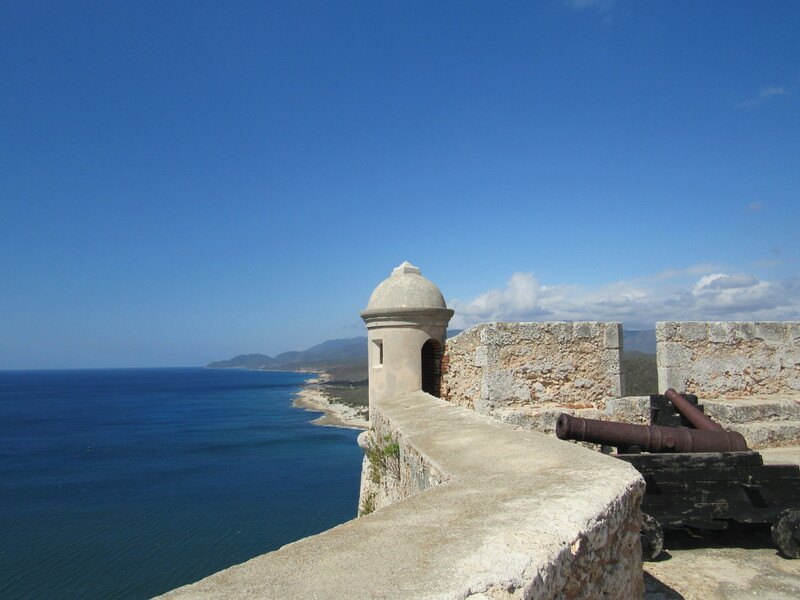 Before revolution, pirates attacked the city until the Spanish built the Morro Fortress. 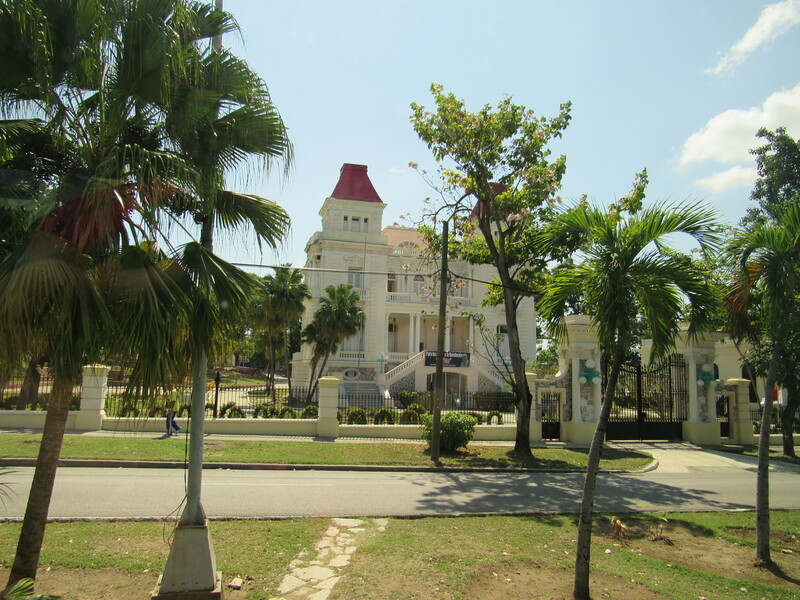 It was the first capitol of Cuba, until it moved to Havana. It is the home of Cuban music, dancing and produces the best rum. Its streets are chaotic and people can be “very friendly.” Welcome to Santiago! Before we could enter Santiago, we had to go through an immigration checkpoint and get our temperatures taken (again). The difference this time is that we had to turn in our immigration forms and get a temporary pass because we would be leaving Cuba when we sailed away from this port. Sounds a bit confusing, but just follow the instructions. My first stop was at the Morro Fortress. This impressive fort provides amazing views of the harbour and the city of Santiago. 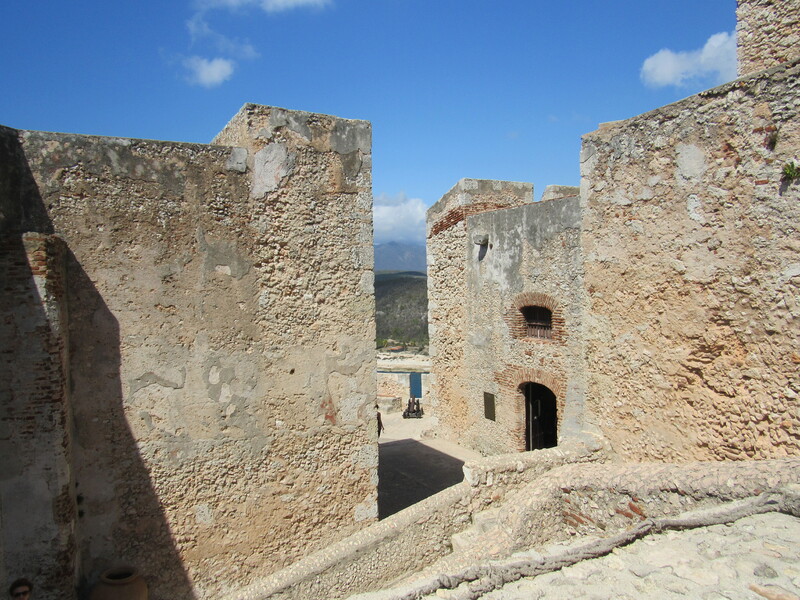 Inside the fort is a complete history of its construction and lists of various pirates who made life in early Santiago challenging. Most of the information is Spanish, but you will recognize a few names, including Henry Morgan. 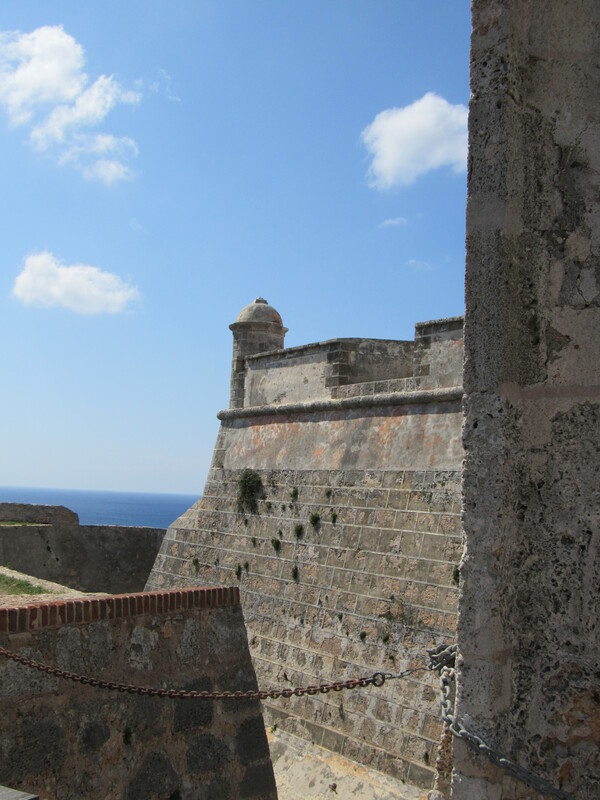 Walking around the fort can be a bit tricky – the cobblestones can be slippery and it can be very windy. However, the views are worth it. Note that to take pictures in the fort; you will have to pay $5 CUC. There is also a nice restaurant next to the fort – and it is always time for a mojito! There are also a number of private craft vendors along the road to the fort. I bargained for a hat and there were lots of woodcarvings and other items for sale. Santiago has a number of beautifully restored colonial houses, many of which are now schools. It also has monuments to many heroes. 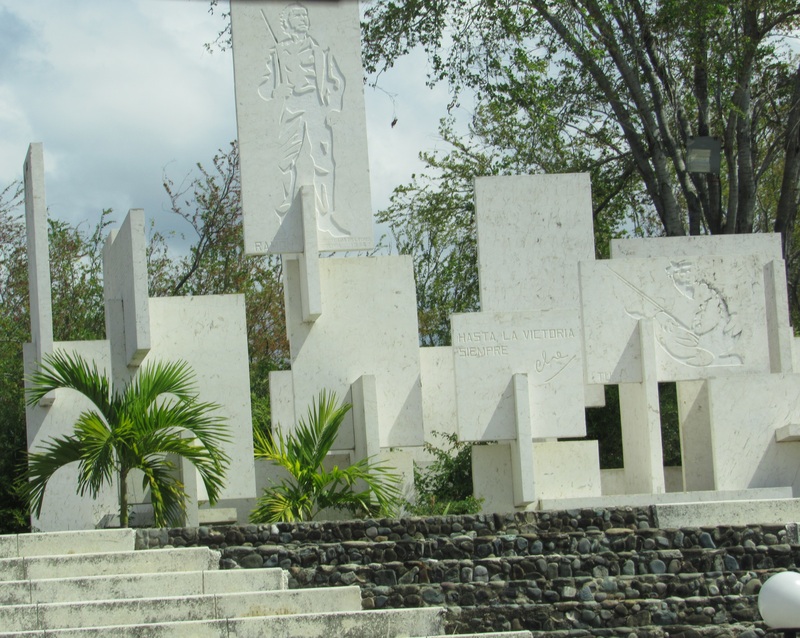 One of which is a monument to Che Guevara and the men who were killed with him in Bolivia. 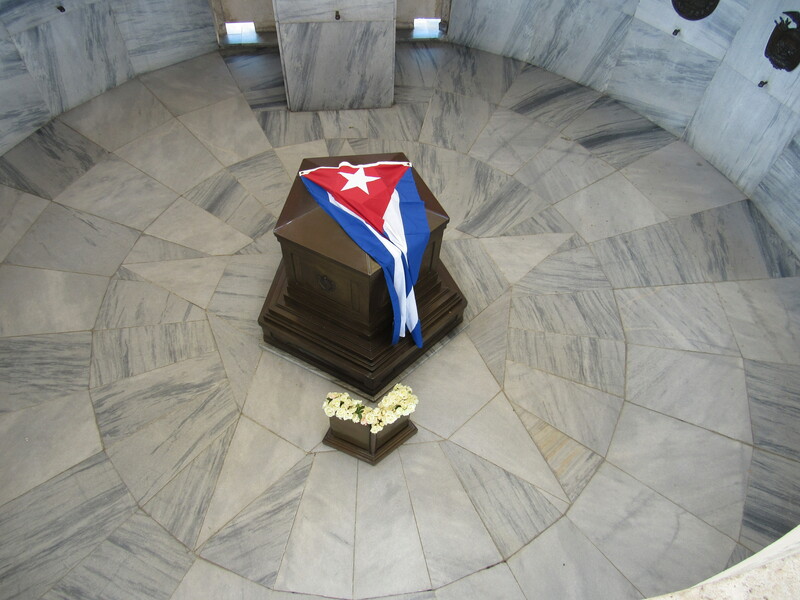 This is a monument to him – a tower that is open at the side and the top is stained glass that reflects the sun that shines on the wooden casket draped with a Cuban flag. Every morning, they place white roses at the casket. It is a beautiful memorial. 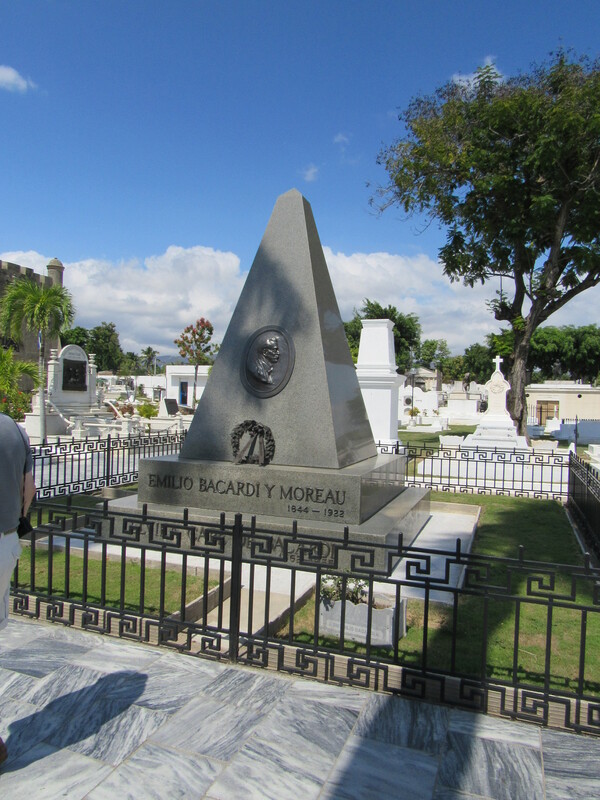 The cemetery has a number of other notables, including the Bacardi Family, several sections for revolutionary fighters, and a section for Cubans who aided in the fight against apartheid in South Africa. 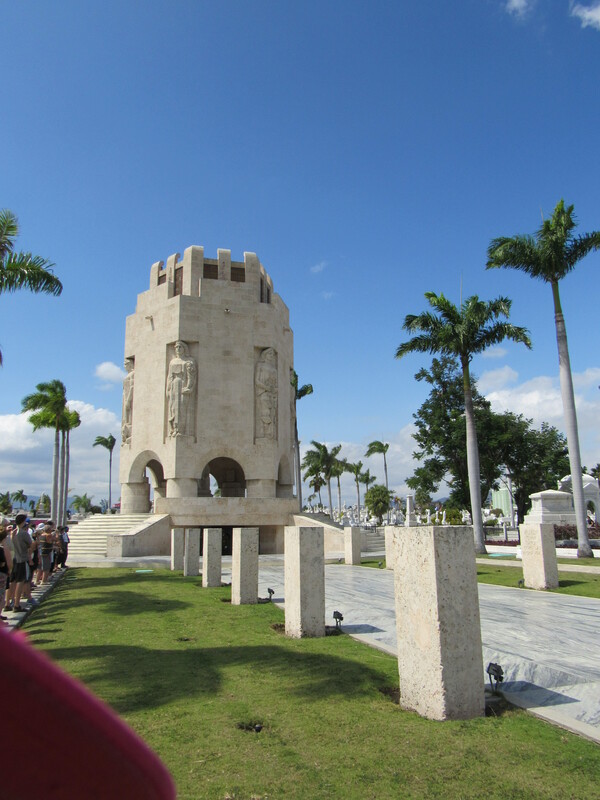 Like the fort, you will have to pay to take photos — $5 CUC seems to be the going rate. 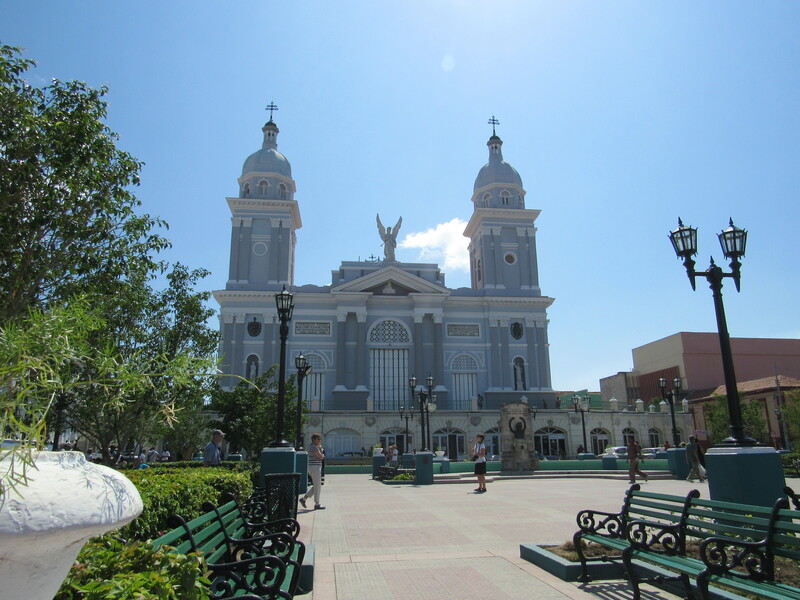 The main plaza in Santiago is similar to other plazas throughout Cuba. At the heart is the main church, and the open area is surrounded by other colonial buildings. 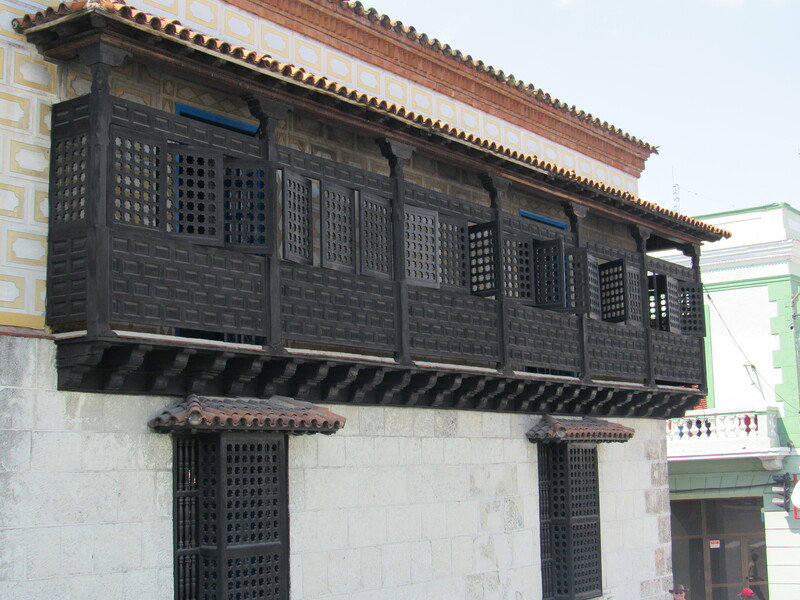 This one had building from different eras in Santiago’s history, including one that is the oldest building in Santiago. Overall, Santiago is a beautiful city, but it can be chaotic for a first-time visitor. Streets are crowded and there are few, if any pedestrian-only areas. In the main plaza area, I found some of the people more aggressive in requesting things from you. No one asked me for money, but it was more for items such as soap or cosmetics. Even saying no, did not deter them from continuing to ask me to things. This did not happen to me in Havana, so it was surprising. I only mentioned the highlights of some of the things I did in Santiago – there are many more!